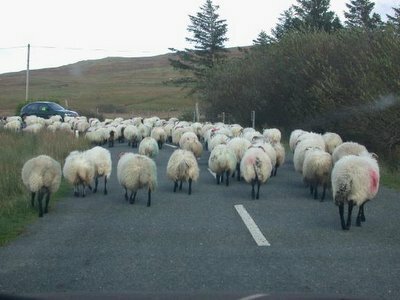 three sisters blog: An Irish Traffic Jam!!! That is too funny!! I've seen that in movies, but I didn't realize that it really happened. Do they always roam the streets like that?? (And do they drive on the opposite side of the road in Ireland?) How long have y'all lived there?? Hi Jessica!! I know it's hard to believe but that really happens in the country. We drive on the opposite side of the road as well. We've been in Ireland for over 11 years. Hannah, are youngest sister was born over here!! !